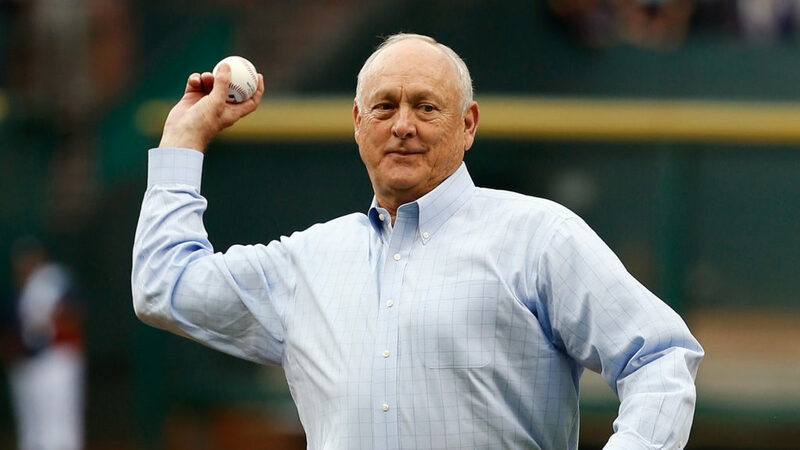 One morning in 2010, bleary-eyed billionaires, Major League Baseball executives, bankers and bankruptcy attorneys gathered at Fort Worth’s Depression-era federal courthouse to witness the formal approval of the winning bid by Nolan Ryan and Chuck Greenberg’s group, which struggled and maneuvered 10 months to buy the Texas Rangers. Many, including a new Rangers partner, XTO founder Bob Simpson, disheveled with one pant leg tucked in a weathered cowboy boot, the other spilling out, had been up most of the night of Aug. 4, participating in tense, repeatedly delayed, then highly dramatic bidding that ended just before 1 a.m.
▪ Andrew Herenstein, an elusive New York buyer of distressed Rangers debt, who jabbed and parried to resist Selig’s attempts to sell the first-place team quickly and, apparently, too cheaply. By maybe $100 million too cheaply. This was no ordinary bankruptcy or auction. Even without the death threats. Fans and, most importantly, Selig, wanted local hero Ryan and his Pittsburgh lawyer-partner Greenberg to triumph over Mavs owner Mark Cuban and Houston billionaire Jim Crane. Selig stubbornly favored Ryan-Greenberg even when there was likely more money from the rival group. And he isn’t saying why. Attempts to reach him for this story were not successful. The mayors of Fort Worth and Arlington publicly sided with Ryan. And Nolan Ryan fans, frustrated by the drawn-out process and whipped up to a frenzy by off-the-chain commentators, flung death threats at U.S. Judge D. Michael Lynn and the court-appointed restructuring officer, William Snyder of Southlake, both of whom had been labeled obstacles to a Ryan-Greenberg purchase. Like circling wagon trains before a Comanche attack, U.S. Marshalls ringed the courthouse with heavy-duty SUVs for an assault that never trespassed beyond the Internet. The furor would have been even greater had Lynn and fellow federal judge Russell Nelms blocked the trade that brought star pitcher Cliff Lee from Seattle. Few major league franchises have weathered bankruptcy, and none during baseball season, much less while on the path to the World Series. It was uncharted territory when Nelms, who served as mediator during the case and ran the auction, took a deep breath and allowed Lee to come over from Seattle. So here were the once woeful Rangers galloping toward an American League pennant while rival team owners subsidized the effort. Meanwhile, a thuggish and mean-spirited disinformation campaign poisoned the air. Mark Cuban and others allege it originated at the highest levels of MLB, blackening the reputation of him and Jim Crane, his bidding partner. An anonymous, but malevolent, sender shipped this reporter 30 pounds of documents about a 1990s EEOC case involving Crane’s air freight company, alleging discrimination against blacks and women. The federal rights agency sought $20 million from EGL, which eventually agreed in 2001 to pay an $8.5 million a settlement while denying that it violated employment laws. However, U.S. District Judge Lynn Hughes in 2005 returned about $6 million to EGL, ruling that 90 percent of the claims had no merit, a development not found among the documents. Crane denied any discriminatory practices. Then there were Cuban’s flamboyant antics at games during his early years as an NBA team owner, which didn’t help the picture. At least one pivotal figure in the case believed that the commissioner’s office made known that it would view with disfavor any Wall Street firm that provided Cuban and Crane with financing. In addition, the MLB chief tried to extract promises from team owners not to approve the Crane-Cuban group. MLB’s anti-Crane campaign was so effective that the morning after the auction an aide to Snyder expressed relief that Ryan-Greenberg had won, confiding that he was convinced Crane would never have gotten approved by the other team owners. Yet all concerns about Crane miraculously evaporated after the Rangers auction. A year later he bought the Houston Astros with no sniff of opposition from the commissioner or the owners, confirming the view that Selig was mainly concerned about handpicking owners. Even in federal court, MLB thought it could control the action. The league’s New York attorney, Steve Shimshak, unaware that he hadn’t disconnected his phone after a court teleconference, was heard by all sides threatening to pull the Rangers’ franchise if the case didn’t go Selig’s way. Shimshak got a dressing down before other attorneys in Lynn’s chambers on his next visit to Fort Worth. At the same closed-door gathering, Lynn turned on Greenberg’s attorney, Tom Lauria of Miami, and threatened sanctions if his client continued to try the case in the media. An unflappable former Naval officer, who taught advanced bankruptcy law at SMU Law School, Lynn quickly let attorneys know who was running the case. And it wasn’t Bud Selig. Acerbic tongue lashings, interspersed with tension-lifting, quick-as-lightning one-liners, shot out from the bench. In 1998, Tom Hicks of Dallas paid $250 million to purchase the Rangers from George W. Bush’s group, which had acquired the team nine years earlier for $89 million. Within four years, Hicks’ sports group entities were bleeding red ink, hurt by poor performance, a slumping economy and ginormous deals with Alex Rodriguez and Chan Ho Park. For all of his prowess as a leveraged buyout artist, the barrel-chested Hicks had a dismal record as the Rangers owner. Only one year was the club in the black between 2002-09, and it had not funded the player-deferred $87 million compensation fund in three years, of which $47 million was owed A-Rod. Hicks refinanced loans of $540 million in 2006 to relieve payment pressures, but problems only grew. After an $11 million net loss in 2007, HSG’s balance sheet showed a whopping deficit of $562 million, according to a Columbia University business school study by one of the lenders, Sal Galatioto. In 2008, Hicks considered raising $350 million from a public stock offering of the Rangers, the Stars and his 50 percent ownership in England’s Liverpool soccer club. But a crashing stock market dashed the attempt. On March 31, his umbrella entity for the Rangers and Stars, HSG, failed to make a debt payment. Hicks extended $5 million to keep the teams going until they were sold and appealed for help from MLB, which provided $15 million in revolving credit. By then, bottom-feeding private equity firms like Herenstein’s Monarch Alternative Capital, Sankaty Advisors and Stonehill Capital were snapping up hundreds of millions in HSG debt at bargain prices — reportedly 52 cents on the dollar or less — from such original lenders as Barclays Capital, CIT Group and Metropolitan Life. The new creditors would make huge profits if they got face value of the loans repaid. The sale process had been complicated by Hicks, who despite his sports group defaulting on half a billion dollars in debt, kept trying to strike side deals with Crane and Greenberg so that he could remain some sort of partner with numerous perks, Greenberg said. “Tom never really wanted to sell,” Greenberg said during an extended interview at his Westlake home. As other recent buyers of baseball franchises would grasp, Greenberg saw that vast unrealized value existed in negotiating new media rights in large markets. And Dallas-Fort Worth was the largest U.S. market with only one MLB team. Greenberg knew that Fox Sports, part of Rupert Murdoch’s media empire, was finding itself increasingly desperate in Texas after failing to renew with the Houston Astros and Rockets. To make matters worse, Fox knew its chances of retaining the Rangers were slim if Cuban bought the team. With both the Mavs and the Rangers, the Dallas billionaire could create his own network, cutting Fox out of another Texas market, Greenberg said. “Here was an opportunity to dramatically increase franchise revenue, restore trust, and team values would (rise) by higher multiples,” he said. But creditors soon learn that Weil, Gotshal & Manges, the Dallas law firm representing Hicks Sports Group, warned Selig that by stopping the sales process with an arbitrary deadline, he was potentially leaving money on the table. Later, Weil partner Glenn West acknowledged to one of the lending banks that a miscommunication led to the Ryan-Greenberg bid being wrongly deemed the best. “As we stand now, Greenberg was in fact a losing bidder, and Crane was the actual winning bidder — we cannot pretend otherwise regardless of good faith selection that turned out to have been in error,” West wrote to JPMorgan Chase’s attorney. Monarch, now one of the biggest creditors, vigorously objected to the Ryan-Greenberg deal, prompting HSG to file with MLB’s blessing a May 24 “prepackaged” bankruptcy aimed at removing creditors’ obstacles and completing the sale. And the all-too-clever “prepackaged” strategy was quickly derailed in a logical legal move by Monarch. Since the Rangers’ debt as an MLB team was technically capped by the league at $75 million, the lenders forced into involuntary bankruptcy two Hicks sports entities, which had overall control of the Rangers and Stars. Their aim was to get as much as they could from what was owed. As a result, a whole new ballgame emerged in court. All sides agreed to appoint Southlake turnaround specialist William Snyder as chief restructuring officer tasked to find the best deal. By making and breaking deals in serial fashion to wring out ever better offers for the increasingly successful pennant contender, Snyder incurred the wrath of nearly every person involved. But the Peruvian-born Aggie, who resembled a young John Wayne, seemed to care less. He succeeded in removing stadium parking lots, overvalued at $79 million, and other benefits for Hicks, which impeded the sale. According to the Columbia study, Ryan-Greenberg’s $210 million offer from the beginning of the bankruptcy process rose to $290 million by midsummer. On the eve of the Aug. 4 auction, the group made a fresh offer of $315 million if the bidding is called off — insisting that Cuban-Crane can’t qualify to bid anyway. The team’s attorneys, MLB, Snyder and the first-lien creditors sign on to the pre-emptive bid. But when the deal is discussed at a 7 p.m. teleconference, Judge Lynn pointedly asks Galatioto, the feisty leader of second-lien holders, if he accepts the deal. It was an immensely difficult, and perilous, question for the veteran sports banker. Should it later be determined that Galatioto had no legal standing to block the sale, as Lynn acknowledged was a possibility, he could be sued. He also risked shattering ties with MLB, making life difficult for his nine-member firm. Then there was the risk that an auction might not garner anything more for the other creditors, who backed the 11th-hour offer. The Brooklyn-bred sports banker angered everyone — but Lynn — by saying he wanted the auction to proceed. It was the sixth or seventh deal that slipped through Greenberg’s hands. And many participants wanted Galatioto’s blood. The next morning, Ryan-Greenberg challenged the ability of Cuban-Crane to participate. It seemed that only half of the creditors signed off on an agreement to roll over their loans should Cuban-Crane win. This left the Dallas group $100 million short. With little fanfare, Cuban stood up and guaranteed the amount, prompting Judge Nelms to order the auction to proceed at 2:45 p.m. Nonetheless, Cuban-Crane was required to bid in $15 million increments, while Ryan-Greenberg needed only to raise theirs $2 million at a time. Greenberg himself had made special preparations. During the summer, he informed his attorney that he wanted to strike a deal with Fox Sports as all stars were now aligned. A screaming match ensued, Greenberg recalled, with the lawyer warning that such machinations could land the Pittsburgher in jail. “I’m going to talk to Fox and you have to leave because I’m going to get a criminal attorney,” Greenberg replied. Minutes later, the attorney said he figured a way to do it on the up and up. So when bidding went back and forth on the night of Aug. 4, Greenberg had a TV deal in his hip pocket. And he also knew he could call on Fox for support to raise a bid beyond the reach of Cuban and Crane. At a tense turn in the bidding, he gave what sounded like a Churchillian pep talk to Simpson and Davis, telling them it was a chance to go to the World Series if we step up and create this opportunity for a transformational moment for the Rangers. “Let’s do this,” he urged. They agreed to raise the bid by $25 million — to $593 million, including assumption of some debt — but Fox made it possible, he disclosed. A bid of that size meant Crane and Cuban would have to counter with at least $40 million more. The pair folded. Greenberg didn’t publicly release terms of the broadcast rights deal, which was announced just after the Rangers clinched the pennant in September. USA Today quoted people who had read the contract as saying that Fox agreed to a 20-year extension guaranteeing $3 billion, or $150 million a year. It was the biggest payout for an MLB franchise that didn’t own its own TV outlet, the report said. Snyder, the restructuring maven, was ecstatic. The auction brought in about $25 million more than Greenberg’s pre-emptive bid from the day before. Overall, the purchase price handed lenders about $110 million more than Ryan-Greenberg’s original bid eight months earlier. But Galatiolto, who forced the auction, was not rejoicing. His second-lien holders’ group would end up losing tens of millions, even after the Stars were sold, while firms that bought first-lien debt at a bargain-basement prices got full value — and never thanked him for sticking his neck out. Chuck Greenberg had a remarkably short — and rocky — seven-month tenure as Rangers CEO, with Nolan Ryan unhappily following him out of club’s door as club president two years later. Greenberg owns minor-league teams, including the Frisco Rough Riders, the Rangers Double A affiliate. Cuban has steered clear of baseball, remains owner of the Mavs, wheels and deals, emerged unscathed from an SEC insider trading case, and appears regularly on ABC-TV’s Shark Tank. Jim Crane, his partner in the losing auction foray, purchased the Astros in 2011 from Drayton McLane for $615 million and hired Ryan as an executive adviser in February 2014, four months after he and the Rangers parted company — and his departure didn’t appear to be wholly his idea. But not all is perfect. In 2013, Crane filed suit against McLane for misrepresenting the value of the team’s TV-rights deal during sale negotiations. McLane denies wrongdoing. And the case continues.